Our Roller course is delivered by a trainer with industry experience, and covers the skills and knowledge required to conduct roller operations. 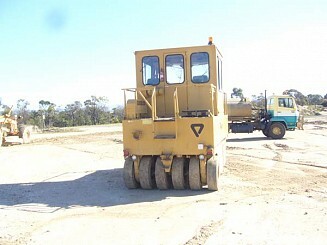 This course covers such topics as planning and preparing for roller operations, operating an roller (including how to conduct the pre-start, pre-operational and post-operational checks), selecting, fitting and removing attachments, relocating the roller, carrying out machine operator maintenance, and conducting housekeeping activities. Participants are required to study teh Roller Study Guide & complete the Review Questions prior to the course. This puts everyone attending the course on the same base level of knowledge. Participants are required to complete a written assessment for this Roller Course. The written assessment is a CLOSED BOOK assessment. All answers are required to be written in words and in English. They are not multiple choice. They are also required to complete a Practical Assessment on a Roller. Participants are required to bring their Roller Study Guide & completed Review Questions to the course.